This Ozark Trail Compact Side Table is on sale for $9.95 (Retail $19). This side table is perfect to use while you’re relaxing in your backyard, at the beach or camping! 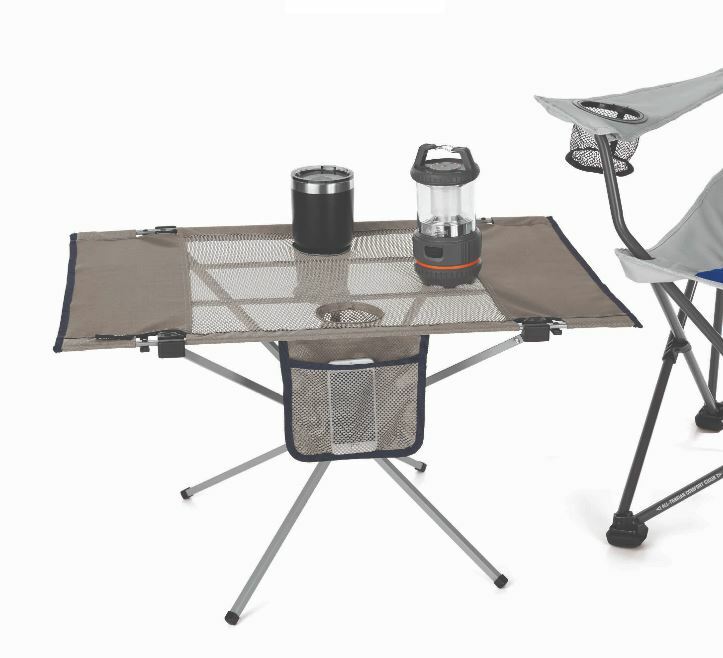 This table provides a nice level surface to place your lantern or small essentials on. It can hold up to 50lbs, has two mesh cup holders to keep your beverages in, and a side organizer pocket to keep cards or other small gear within reach. It also folds down into a compact carry bag with a strap for simple storing.